Here I have chronicled my experience playing “The Legend of Zelda: Spirit Tracks” in Part 2 of 2. 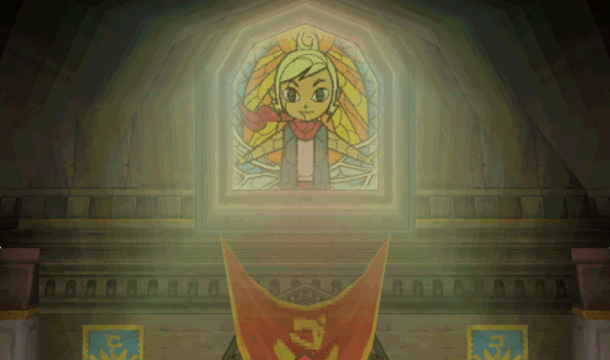 Part 1 over the game’s prequel, “The Legend of Zelda: Phantom Hourglass,” can be found here. A century has passed since the Hero quelled the Realm of the Ocean King (2 years in our world, now 2009). 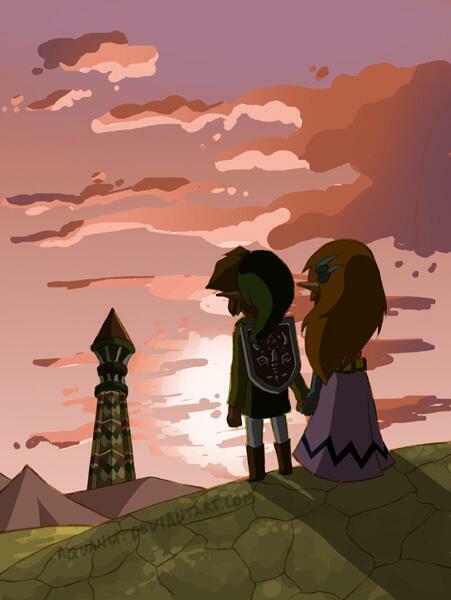 A mainland was found, and the kingdom of New Hyrule was established by a reincarnation of Princess Zelda. Standing tall in the center of the Overworld is the Tower of Spirits, a “lock” of sorts that binds a great demonic force within the land, and sprawling from that tower is a vast network of railroad tracks that act as “shackles.” Link, also reincarnated as a young engineer, lives a peaceful life within New Hyrule. But when the sly and greedy Chancellor Cole reveals his plans of reviving the great evil Demon King Malladus, Link, like clockwork, is called upon by his Princess once more. Before the two can take Cole down, however, the Tower of Spirits is broken up into giant chunks which float above the tower’s remains. Zelda is captured, and though Link cannot save her body, her spirit is extracted and placed into the armor of a phantom knight. Now a princess in spirit only, the two become entrusted by Anjean, a “Lokomo” or sage of the tower, with the great vehicle that once rode the rails to keep evil at bay: The Spirit Train. To save her kingdom, Link and Zelda embark on a quest to restore the spirit tracks to the land, in hopes of once again binding the Demon King to his eternal prison. Rather than stand as another “save the princess” game, Spirit Tracks rebuilds the legend of Zelda herself from scratch by placing her on the battlefield next to the Hero. For the first time, Zelda can not only lead the attack but also be used as a character via the DS’s stylus; just draw her a path and she’ll act accordingly! Like with its predecessor, this cool function can also be a bit of a pain, what with the drawing and timing inaccuracies. But it’s still a great use of the device—I mean, who doesn’t want to control a giant armored phantom Zelda!? Exclusively for the DS, Spirit Tracks involves you in a way that no pocket console has before. While it has the same format as Phantom Hourglass (returning to one dungeon—Tower of Spirits—repeatedly throughout the game, though now you don’t have to re-explore floors), it has a couple different gimmicks. 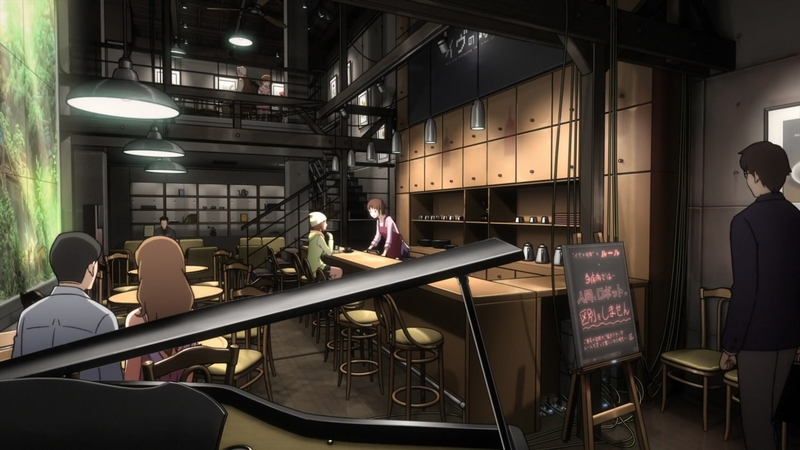 One is the Spirit Train itself. Like the ship in PH, you set your course by drawing on the map. What’s new this time is that you can’t trace your trail freely because, well, uh, a train has to sit on tracks. 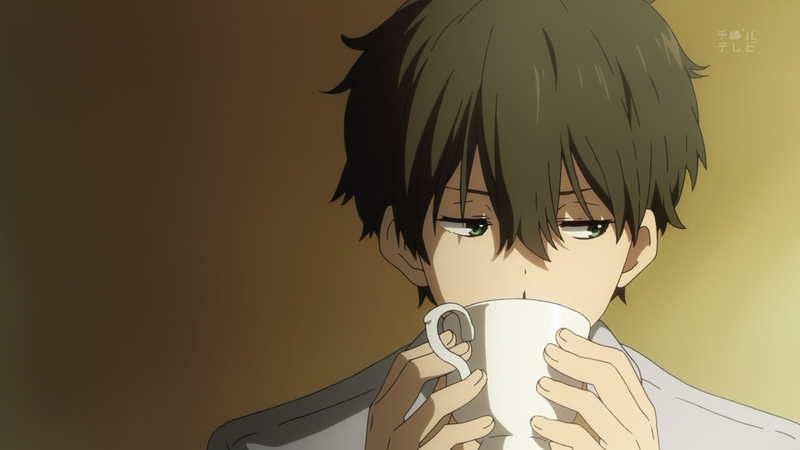 So once again, the titular concept ends up being a huge restriction on the player. At least you get to conduct a train, right? Speaking of, Spirit Tracks holds some of the franchise’s best music to date, including the “Realm Overworld” theme, “Link and Zelda’s Duet,” and many more. Through the Spirt Flute, Spirt Tracks reinstates the power of song and the gift of music, providing some of the most compelling and underrated main themes written for Zelda. 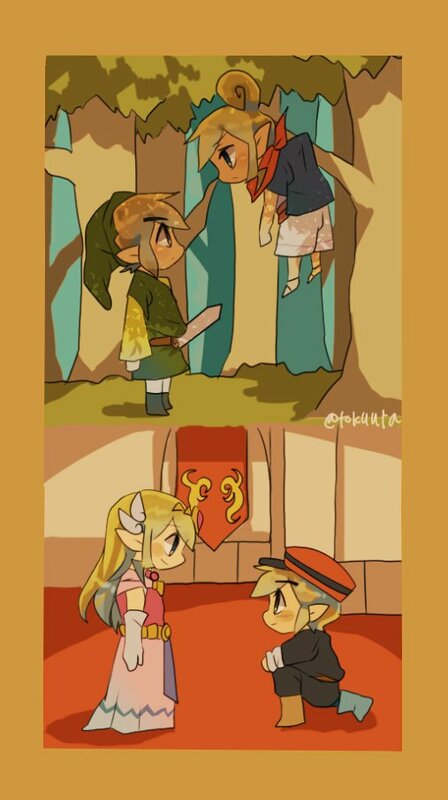 Lastly, the Link x Zelda interactions are much more interesting than in PH or, heck, most of the franchise. This is because, unlike most games where Zelda is more of a “deity” watching over the game, she plays a critical role in all the action, all the time. I think we’re all rather fond of our Princess, and to have her accompany us all the way makes me love her presence more than I ever have before. And that’s about it. Like with Phantom Hourglass, you traverse the world, collect the right gems, forge the game’s titular sword, and slay the force of evil causing everyone a headache. This is the third game in the Toon Link Trilogy, however, and that makes its ending kind of special. Like how Ganondorf was bested in Wind Waker, the legendary Bow of Light is summoned forth in the finale, which, in a sense, feels like it completes the trilogy. No longer are we scavenging pirates at sea: Hyrule is safe, her Princess reigning proudly, and the spirit of the Hero’s courage lives on within us all—the board is reset, if you will, as we’re now back on “track” for future installments. If this isn’t the perfect way to end a trilogy, I’m not sure what is. Both The Legend of Zelda: Phantom Hourglass & Spirit Tracks are more childishly charming or casual takes on the franchise, but equally critical in forwarding the legend itself to newcomers of this fantastic universe. Take me for instance—I boarded the S.S. Linebeck in 2006 as a child, and now I’m saving up to dive into the immersive world of 2017’s Breath of the Wild. From then, to now, I’ve been a fan, and it’s all thanks to two of the most underrated games in the franchise. I played Phantom Hourglass and Spirit Tracks from beginning to end—from the Great Sea to the New World. And you know what? I enjoyed collecting every rupee along the way. End of Part 2. Go to Part 1 now if you missed it! Let me know your thoughts, memories, or nostalgia while playing Spirit Tracks! Many thanks again to NekoJonez for his hard work in putting this all together! PLEASE visit our hub article for “The Legend of Zelda: A Blogger’s Journey” HERE and reminisce on all the games that brought us joy, wonder, and excitement! We hope you enjoy it all! If you haven’t already boarded the ship in Part 1, go meet me over there, too! It’s been a lot of fun guys, it really has. Thank you so much for going on this journey with me! And I was right, I read an interview in [N]Gamer (the Dutch version of the Nintendo Magazine) and the developers actually said that they added various winks to other Zelda games. Also, thank you Nintendo for fixing that annoying backtracking Ocean Temple in this title. Yet, to be honest, the fact that you had to climb those stairs each time get annoying as well. Oh well, it’s better than replaying those floors several times I guess. I recall having a very similar experience myself, but I didn’t realize that the developers went that far to ensure that the game held a few nice “Easter Egg” throwbacks. It’s kind of neat how the whole franchise is rife with all these little connections! And oh god, yes, if it was going to be another Ocean Temple, I would’ve chucked the game out the window for sure. The stairs were a bit noisome, but every classic dungeon has its quirks, hahaha. Thank you for stopping by, and sorry again for such a late reply! Wait, there’s a game in which Zelda gets the Alphonse from Fullmetal Alchemist treatment? That’s awesome! I reckon every incarnation of Zelda can hold their own against most foes better than some of them let on, but a phantom knight Zelda is pretty cool. I haven’t played Spirit Tracks, but it sounds as if they sort of tried to recreate Wind Waker except with a train instead of a boat, which… just isn’t quite as freedom-y. (I realize I’m so late to this comment) But yes, the whole FMA treatment is there, complete with transmutation circles that lie deep below the land! Phantom Zelda was definitely one of the high points of this game, even if she was a bit tricky to control at times. 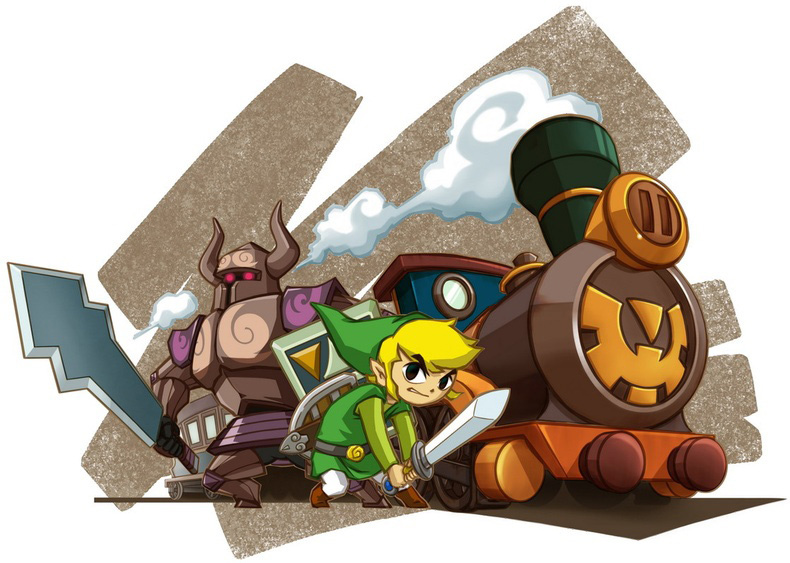 Spirit Tracks is by far the most restrictive of the three in the Toon Link Trilogy, as you are stuck on the rails, and the islands offer very little room to explore, unlike Phantom Hourglass and, of course, Wind Waker. Still, I found enjoyment in the music and the temples, and those are some of the franchise’s highlighting features! Thanks for reading! I like the idea of having Zelda join Link for an adventure, but never purchased this game because I don’t like stylus controls. That was the main reason why I never completed the previous game. The stylus is always a bit of a trick, and it doesn’t help when, in the instance of my brother, part of the bottom screen stops reacting to touch. It’s a stubborn thing, but has its fun, too—worth it for a journey with the Princess, that is!